What if I told you that there was a way to practically eliminate disrespectful frizz from your hair? You know, the type of frizz that won't allow your hair to be great? I'm not talking about that cute day 3/4 frizz where your hair is still defined but frizzy enough for some extra oomph and volume, I mean day 1 frizz that makes you want to wash your hair and start all over again. That frizz there? I think it's met its match. If you've been following the blog or my social media, then you know I love the wash and go year-round. I could go into a long and drawn out explanation about loving my hair and whatnot, but I'll just be honest: it's the easiest way to care for my hair while still being completely lazy. In other words, I invest the bulk of my wash day time in cleansing, detangling, and conditioning my hair. Slapping in some leave-ins and styling product runs me all of about 15 minutes -- 20 if I take my time. After that I'm done, unless I decide to diffuse hours later. Before I discovered the 3 B's: my hair was cute, but the frizz was causing major tangle drama. Even though my wash day regimen runs like clockwork now, my wash and go's are always a wild card. I can use the same cocktail of products the same exact way three different times and get three different results. Of course the weather plays a role, as do the products I use leading up to styling time. 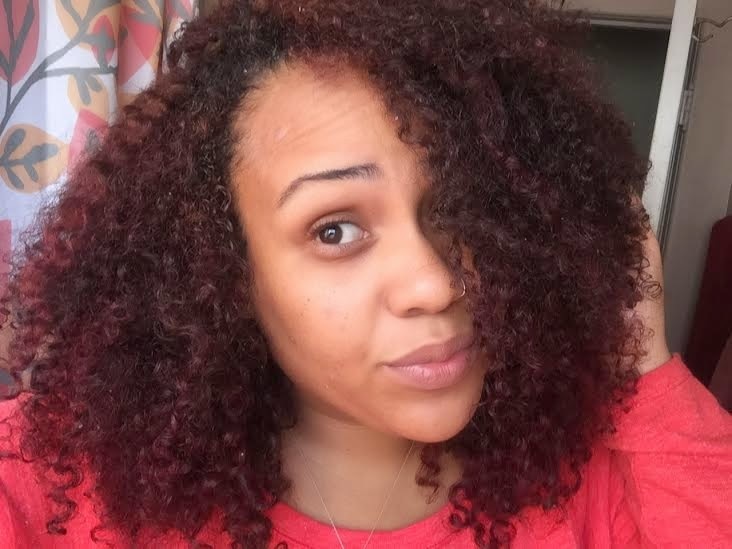 But over the past few months, I've really been trying to be more selective in my regimen and product choices, so that I am able to more concretely identify practices and ingredients that do and don't work for my hair. 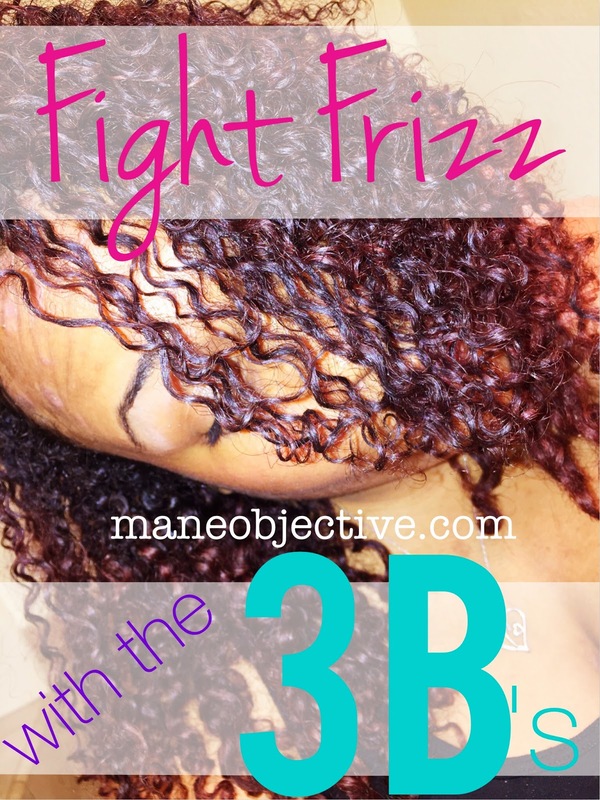 I've reached some pretty exciting revelations that I'm sure none of you care about (lol), and uncovered some findings that I think you all may find beneficial -- like the 3 B's of Fighting Frizz. Frizz is basically your hair's way of reaching out to the atmosphere for a little hydration love, and that's exactly why your hair is so smooth and lacks the fuzz factor when it's wet in the shower. Like I mentioned previously, some frizz is cute, other frizz, not so much. The kind of frizz I was dealing with caused major tangles and led to my wash and go's not lasting as long. 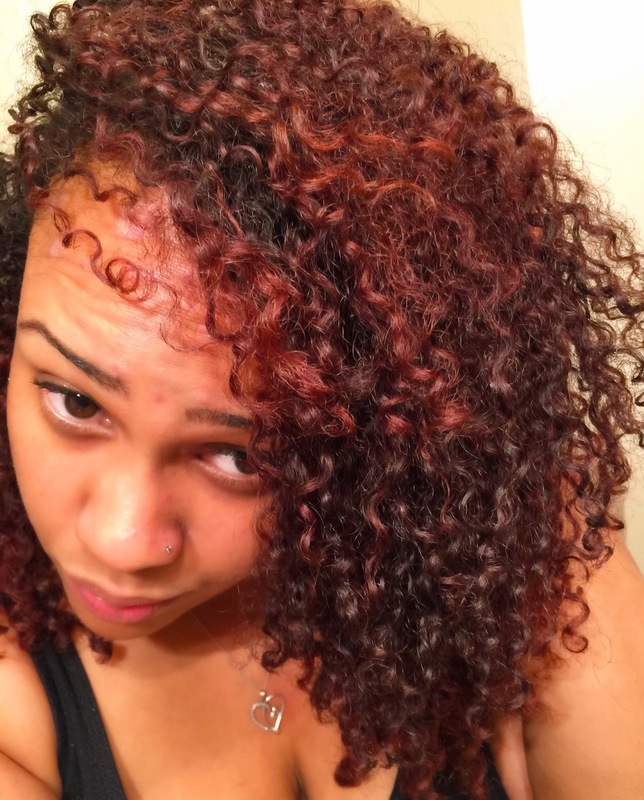 But with a few simple regimen and product tweaks, my curls are smooth like they never left. So what exactly are the 3 B's? Allow me to share. Who saw this coming? I'm sure you did. Ever since my experimentation with the Max Hydration Method, I've been on bentonite clay something tough. While doing the MHM, I found that the mask with bentonite clay was the game changer for me. After I was done with the MHM, I kept the clay and parlayed that into my mud rinse recipe. I mud rinse weekly after cleansing my hair but before deep conditioning, and my hair is much better for it. Bentonite clay has given my hair great shine, improved curl clumping, better definition, and less frizz. Bentonite clay is composed of several minerals from the earth (silica, aluminum, iron, sodium, magnesium, etc. ), the most prominent of which is silica, present in concentrations of over 60%. I'm no scientist here so don't quote me on this one, but some protein complexes in our hair contain glycosaminoglycans, which are composed of silica amongst other things, and are essential to healthy hair. With silica as a building block for healthy hair, bones, skin, and nails, when used on hair, bentonite clay provides the hair with a boost of health and youth-restoring minerals that counteracts signs of damage in the hair (dull strands, frizz, roughness, etc.). Again, don't take this as fact -- simply a partially educated guess on my behalf. Anybody wanna enlist the help of Sista Scientist or Jc to work with me on this one? Science aside, you can definitely count on bentonite clay to fight frizz and give you some serious curl poppage. 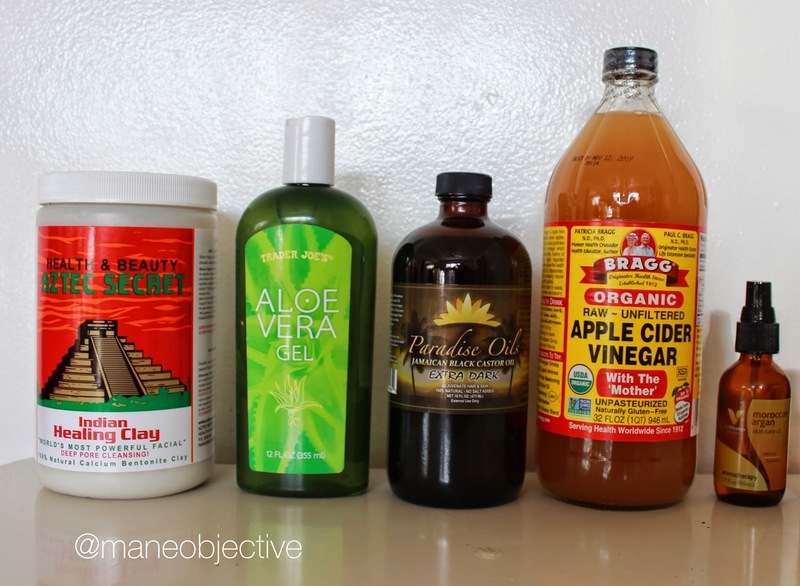 Get my bentonite clay mud rinse recipe here! Betaine is actually an amino acid, which can also be referred to trimethylglicine or glycine betaine. It acts as a humectant and anti-irritant in hair and cosmetic products. Betaine molecules are prone to hydrogen bonding, which allows them to retain water and impart hydration and moisture. When paired with glycerin, betaine nullifies the "stickiness" often associated with glycerin, making product application smoother and less tacky. Betaine also possesses what is known as a "silkening effect", possessing the ability to "smooth over" areas of damage (or wrinkles) on the hair and skin, giving both a much smoother appearance. Even better, betaine is derived from sugar beets, and is considered "natural". In fact, your hair already contains some betaine, and is believed to function within the hair in a protective capacity, in times of high heat, environmental stress, and humidity. In studies, hair treated with betaine exhibited increased strength, and less resistance to fracture (damage). Even better, betaine can be deposited into the hair via topical product application, which means products like shampoos and conditioners can impart the hair with betaine that will remain in and on the strands after the product is rinsed away. So what does this mean for the frizz factor? Because betaine smooths the hair, You can count on halo frizz (that frizz near the roots of your hair that tends to give zero effs) reduction, as well as an intervention for mid-shaft and end frizz/poofiness. Will you use a betaine-containing product and wake up with all your hair problems solved tomorrow? Not quite. But will you see improvement over time? Yes. 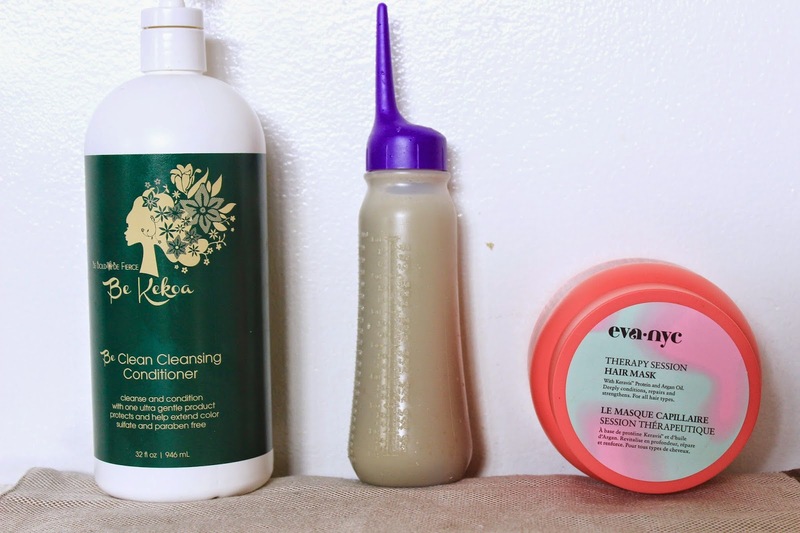 I assumed betaine would be a more popular ingredient in natural hair products, but so far I've only been able to uncover and test it out in Be Kekoa Be Clean Cleansing Conditioner, As I Am Smoothing Gel, and Infusium 23 Repair & Renew Leave-In Treatment. Proteins in the hair respond to water temperatures. When the hair is rinsed with cool water, it helps to close and lay the cuticles down flat, which counteracts frizz and that "rough" strand feeling. Because the cuticles are flat and compacted, hair more readily retains hydration (stays moisturized) and is shinier. Okay, so maybe a few seconds of cold water is worth the inconvenience. I've been rinsing my hair with cool water in the shower after cleansing and deep conditioning, and I can definitely say that I see improvement in my hair. It's worth it to note that cold water rinses may not be the best idea for low porosity hair, since low-po hair already has tightly compacted cuticles. Cold water rinses very well may exacerbate the situation. Any low porosity ladies care to shed some light on this in the comment section? Which of the 3 B's will you be looking to incorporate into your regimen?